Peter acts for builder and developer clients in the acquisition of building land for the construction of both high and low density housing. His clients also buy and sell hotels and retail shops. 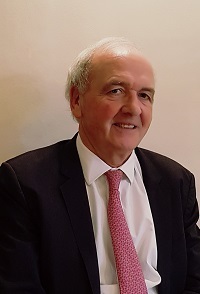 Peter also has many clients who live on the various private estates in the area and having lived in Weybridge for more than 25 years, is therefore familiar with the matters including the covenants affecting the estates and issues relating to the private roads. At the start of his career Peter worked in-house for a public company in the building/property development sector. Career After his spell in commerce Peter started the practice Meadows and Co in 1976 and subsequently the firm has successfully merged with two other local practices. Peter has also been sitting as a part time Immigration Judge hearing both asylum and immigration appeals against refusals made by the Home Office. Peter is a Notary Public. Peter volunteers his time supporting disadvantaged children; acting as a Child Mentor for Surrey County Council, a volunteer for Barnardo’s and most recently, an International Child Volunteer where he took part in charity work in an orphanage in Peru in 2013.